Are you one of those people that just can't get enough information about a bird species and you're craving more? 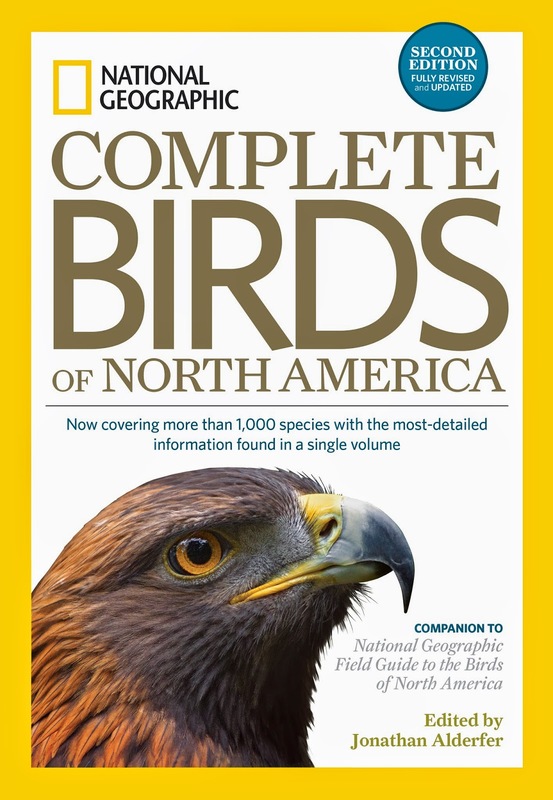 National Geographic has just updated the Complete Birds of North America. It is the perfect supplement to your "NatGeo 6", also known as the Field Guide to the Birds of North America or the smartphone/tablet app. I received my advance review copy of this hefty tome a couple weeks ago. I have it sitting next to me at my office and have found myself diving into it regularly when I need help answering questions and curiosities about bird identification, habitat, and behaviors from my 850+ friends on the Idaho Birding Facebook Group. It has certainly helped me appear much smarter than I really am...and it has actually made me a little smarter too. More than 1000 species get detailed treatment, including 44 species new to this edition. Text is a collaborative effort of more than 25 of America's foremost birding experts, so it is authoritative and reliable. 4000 illustrations, including 600 new piece that qualify as art! There are even 150 photos in the mix. The index and introductory material is easy to read and use. I'd also like to point out that several of my birding scientist friends recommend that suite of National Geographic bird books/apps as their go-to guides. They explain that the quality of the text and images make it superior to so many other guides on the market. National Geographic Complete Birds of North America will continue to be a fantastic resource for me. Pre-order it now on Amazon and save $9!